Meet Asim. In his low-income urban neighborhood in Pakistan, it can seem as if the one thing more widespread than typhoid is misinformation about typhoid. Crucial information on the prevention of the disease through handwashing, drinking clean water or receiving a vaccination is often missing in places where typhoid is endemic, leaving kids like Asim at high risk of suffering unnecessarily from preventable diseases. Until recently, Asim didn’t know much more about typhoid than any other kid from his neighborhood. He didn’t know that typhoid is transmitted through contaminated food and water, or that some street vendors can’t guarantee the safety of the food they’re selling. Asim didn’t know that every time he bought his favorite snacks from the street vendor near his school, he ran the risk of contracting typhoid. 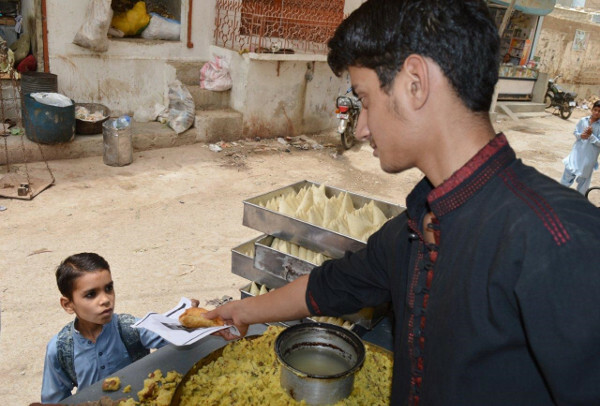 Asim buys samosas, one of his favorite foods, from a street vendor near his house. One day that risk caught up with him. After getting a snack after school, Asim began to feel dizzy. Dizziness soon became a fever, palpitations and loss of appetite. As his fever rose and he began to vomit, Asim’s father recognized the symptoms that he and his mother experienced years ago when they had gotten typhoid. Typhoid, he thought, ran in the family. For years he had believed that typhoid was a hereditary disease passed from parent to child, not a bacterial infection that could be prevented by getting vaccinated or avoiding contaminated food and water. Because Asim’s family never knew typhoid was something that could be avoided, they had not taken precautions against the disease. 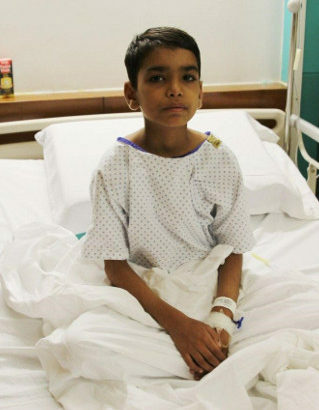 Asim spent four days in the hospital, during which time his parents stayed with him around the clock. The doctors there told them about the importance of handwashing and the existence of an effective typhoid vaccine. 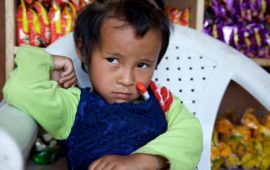 Since they are not able to live in an area with better water and sanitation, the typhoid vaccine is their best bet for long-term protection against the disease, but the family had never known that a safe and effective typhoid vaccine existed. 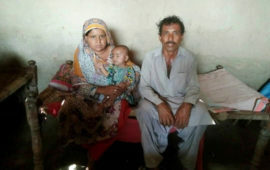 As soon as Asim’s father learned about the vaccine, he promised to vaccinate his children against typhoid. Asim scrubs his hands with soap and water after coming back from playing with his friends. This experience taught Asim valuable lessons that will help keep him healthy. Now that he knows how to prevent typhoid, he’s washing his hands with soap regularly and avoiding snacks from street food vendors. Adopting these simple protective measures, as well getting vaccinated as Asim’s father has pledged to do, dramatically lowers Asim’s risk of typhoid. A few crucial pieces of missing information on typhoid and its vaccine landed Asim in the hospital. Now, with just a little bit of the right knowledge, Asim and his family will be better able to stay safe and healthy. Reporting and photos by Aga Khan University. This post is part of Stories of Typhoid, a series sharing the impact of typhoid on families in endemic countries.